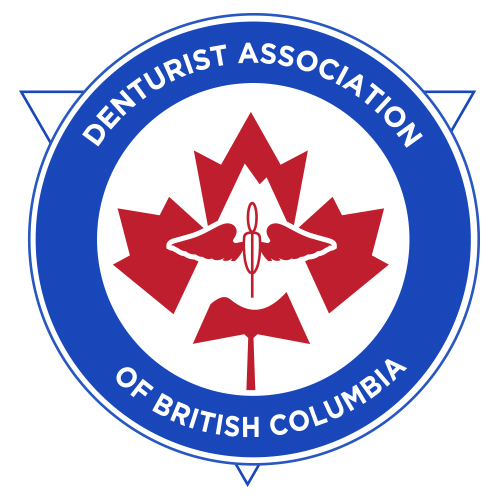 With 30 years of denture experience, Kevin Watson Denturist Inc. is a trusted source in Victoria for complete and professional denture care, including fittings, maintenance and repairs. Kevin and his team strive to make every appointment with our denture patients in Victoria as comfortable and efficient as possible. We’re proud to have established a solid reputation within The Westshore denture community. Read a few testimonials from our satisfied clients below. Give us a call to book your next visit. I am a wounded multi-tour veteran who, as a direct result of my injuries, required the removal of all my teeth. Kevin Watson constructed my dentures and fitted them three years ago. Regretfully, no matter how much Polygrip I used, they still would pop out and eating food was more than a challenge; I went back to my dentist and requested implants. The senior dentist saw me and said l was not a good candidate for implants. For two years I would not wear my dentures as they were uncomfortable, and I would not smile and only eat soft food. My quality of life was extremely low. My medical professional recommended that I get my dentures realigned, so I saw Kevin. I shared with him what the other dentist group said and he expressed dismay and recommended that I see Doctor Todd Jones (a specialist). Doctor Jones (who is also a veteran) assessed me and said I would be a good candidate for implants. I must share with you that in reference to dental work I’m a bit of a coward; in fact on my files it said, “don’t go into this man’s mouth without sedating him”. Nevertheless, the fantastic team of Jones/Watson not only educated me, but fortified my treatment with step-by-step communication and ensured that my fears were unfounded. In fact during the implant procedure in which Doctor Jones was placing the six implants in, I could be heard laughing as we were joking around. Staff for both offices was second to none, ensuring a seamless delivery of patient care. Kevin fitted the dentures on the implants and for the first time I’ve been able to eat solid food with ease now. In fact on my birthday I had steak, which I have not been able to eat for over two years now. But the best result of the hard work of Kevin’s is my smile! Since Kevin fitted my teeth, people have been noticing my smile and saying that it lights up the room. Hence my quality of life has improved along with my self-esteem. Thank you Kevin Watson, and it is without reservation that I highly recommend your good office, especially if one wants down to earth friendly service. -Jim M.
I've been a full denture wearer for 45 years and gone through about 10 sets of dentures over the years. These new dentures that Kevin has made me are the best I've ever had. The fit is amazing and they look better than any I've ever had before. Five Stars for Kevin! -John Y.
I was recommended by my dentist to go and see Kevin. I have never been so happy. I have teeth that stay in my mouth. I needed a bottom plate, and as most people know, bottom plates don't stay in very well. Kevin is very gentle and patient. I would recommend Kevin anytime. It is so nice to be able to smile with confidence. Thanks Kevin. -Sharon W.
I have been a patient of Kevin's since 2002 - throughout the whole experience I have received the best of care and great and timely service. A year or so ago Kevin recommended that I would benefit greatly from having implants installed in my lower jaw bone as I was experiencing significant bone loss and my lower plate was getting sloppy and hard to hold in place, this was the best of advice as now I can eat corn on the cob just as well as I could when I had my own original teeth...very solid great fit. - David W.
My sister has a strong gag reflex, so when we initially chose a denturist close to where we live to make her new dentures, they did not fit well enough for her to wear them. ($5,000 + tax down the drain) Although Kevin Watson is about a half hour drive away (vs 10 minutes) we have been greatly impressed by the way in which he has been able to work with my sister to get all the impressions made with minimal discomfort. Her new dentures actually fit, so she is willingly getting accustomed to wearing them. Therefore, I expect within in a month she will be wearing them all day and eating a full range of foods. As well as getting dentures that fit well, Kevin actually costs less that his competitors in town! I would unconditionally recommend his services, well worth the drive into deepest of Colwood. - David G.
I first became a patient of Kevin Watson in 1996. I had a full set of dentures: upper and lower. The upper plate was never or hardly ever a problem. It was a different story with the lower plate. In 2009, Kevin suggested I consider implants and gave me some information to read. I decided to have the implants done. The actual implants were done by a dental surgeon. Kevin made a new set of dentures for me. It was the best decision I ever made! No more sore gums. I have regular check-ups and Kevin is always very thorough and professional. - Evelyn L.
I cannot praise Kevin enough for the wonderful job he has done in giving me my smile back and a happier me! As you age, your teeth age also and although I had good dental plans over the years and have taken relatively good care of my teeth, it was my time to get my smile back. From the first appointment, Kevin exuded confidence in his treatment for me. It only took a couple of fittings and everything fit perfectly. There was no need to keep going back to fine tune as he’s got the fine touch and got it right. I recommend Kevin to anyone who is interested in an affordable, fabulous smile. I can pretty well eat anything I want! Kevin and his team are awesome. - Wendy D.
Kevin has been my denturist for more than 16 years. During this time, he has provided exceptional services. From basic needs to extensive surgery, such as implants, I have relied on his expertise knowing the procedures would have positive results. Mr. Watson looks after his patients with care and kindness. I highly recommend him and his staff. - Betty B. A family member recommended I go in to see Kevin as she had been a happy customer for more than 20 years. After having poor fitting dentures for a number of years, I had grown tired of going to see my denturist at that time and had accepted that my dentures needed to be secured with messy denture adhesive which had to be applied after eating, so several times a day. When I went in to see Kevin, he fixed the problem immediately! He then went to work on making me a new set of dentures. During this process I found Kevin to be very personable and professional and with great attention to detail. I am absolutely thrilled with my new dentures, no more messy adhesive and they look very natural! I couldn't be happier! - Penny M.
Kevin Watson has been my denturist for 21 years and I would recommend him and his services to whoever asked about him. The reason I have had him for all these years is because he knows his way around his profession very well. After your dentures are finished and set in your mouth, it does not stop there. A couple days go by and you have a sore spot, he takes you back in and fixes the problem with a little polishing and you’re back on your way. You can do this as many times as you need as Kevin makes sure you are satisfied with the fit. He is a people person and could get along with anybody. He is honest and a very likable person. - Judy H.
We’d love to hear about your experience visiting our modern clinic in Victoria and working with our team. Use the eform below to describe your experience and to let us know how we did. We look forward to hearing from you!